Modern farming (4.0) needs more than just digital solutions. Today it is not only about efficiency, responsibility for our environment needs to be added to modern and sustainable agriculture. Rinagro has developed special products for this purpose, which are used in manure processing, emission control or mastitis prevention. We stimulate nature to do its job, in the meanwhile increasing efficiency and reduction unwanted costs. Would you like to increase the nitrogen efficiency of the slurry application? 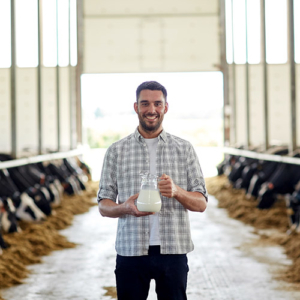 Do you know the economic effect of udder diseases? 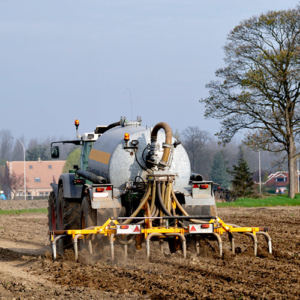 AgriMestMix supports the requirements of the new fertilizer ordinance. Better nitrogen efficiency of slurry application, fresh stable air, cost reduction, increasing nutritional values. Composting without venting. Aerobic bacteria accelerate the composting and mineralization process. Compost-O will bind ammonium nitrogen, stimulating plant growth and organic soil life giving you a very high quality end product. No more throwing away good milk from untreated stable quarters. AgriMestMix is a natural mineral blend. 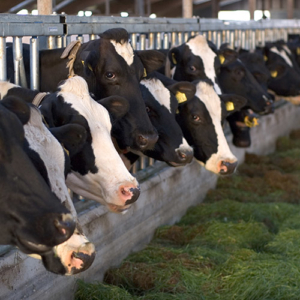 It starts important biochemical processes in manure and slurry. It stimulates the growth of micro-organisms like bacteria, which transform organic bound nitrogen into ammonium nitrogen. 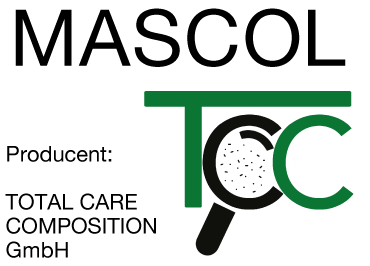 The organic bound nitrogen is made earlier available and more uniformly distributed to plants, this in contradiction to non-organic bound nitrogen. 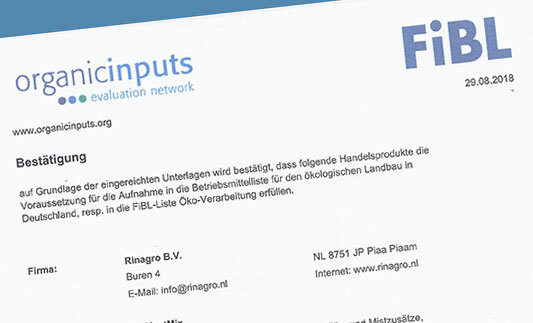 Independent research by Buro Blauw has shown that the addition of the natural mineral mix AgriMestMix reduces ammonia and methane emissions by more than 26%. Since 2001 successful in international animal husbandry! Would you like to use 100% of the nutrient content of the slurry? With AgriMestMix you can ensure high nutrient quality and minimizing ammonia and methane emissions! 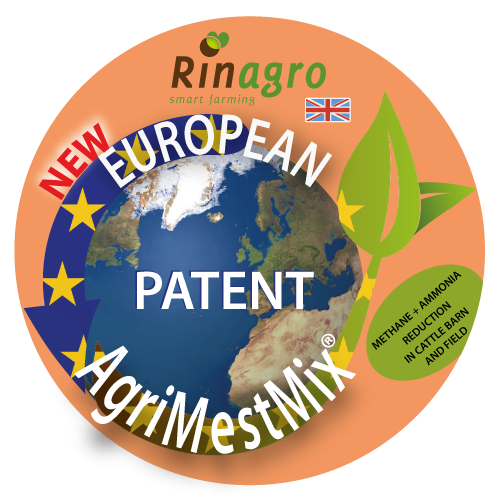 In February 2018, the manufacturer and supplier Rinagro received a patent for the slurry treatment product AgriMestMix. AgriMestMix supports the important biochemical processes in manure and stimulates the growth of bacteria that convert organic nitrogen into ammonia nitrogen. The bound ammonia nitrogen is released earlier and more proportionally to the crop and acts therefor more effective.